Bring a more inviting look and feel to any room by using a technique known as colour washing or glaze painting. Benjamin Moore’s Studio Finishes® Latex Glaze (F405) is directly mixed with the paint colour of your choice to create the solution needed to colour wash walls and create a beautiful faux finish. Drawing from Tuscan roots, colour washed walls are ideal for dining rooms and other areas where guests will gather, and its decorative look will exude warmth and charm anyplace in your home. Start your colour wash journey by choosing your paint colour. Selecting shades from the same colour strip is the best way to combine hues that complement one another. Use one of the lighter shades from the strip as your basecoat, and choose a satin or semi-gloss finish to start building the finish. One of the keys to a successful colour wash, sometimes referred to as “faux painting,” is to have the right supplies. Colour washing can be achieved by sponge painting or brushing the latex glaze onto walls. A paint brush will provide a more textured look, while sponges or soft rags will create a softer, more diffused appearance. For best results, use Fresh Start® 100% Acrylic Primer (N023) before applying your base colour. Be sure to tape off any edges you wish to protect, such as those along ceilings, windows, and doors. After you have prepared your walls, apply your selected base colour, taking care to follow the label directions. Allow the base colour ample time to dry. We suggest waiting at least 48 hours before moving on to the next step. Once your base colour is dry, you can select the colour washing paint technique of your choice, using either a brush or rag/sponge. 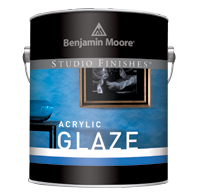 Begin by mixing Studio Finishes Latex Glaze with a latex or acrylic paint with an eggshell sheen to minimize glare. A good ratio to start with is four parts glaze to one part paint (adding an additional one-half to one part water will further the transparency of the glaze). The more glaze you add, the more transparent the effect. Using less glaze will allow more of the base colour to show through. Tip: When you colour wash an entire room, glaze walls opposite from one another first. This will allow adequate time for drying and avoid smudging the wet glaze. There are different wall painting techniques that will make your colour washed walls stand out. 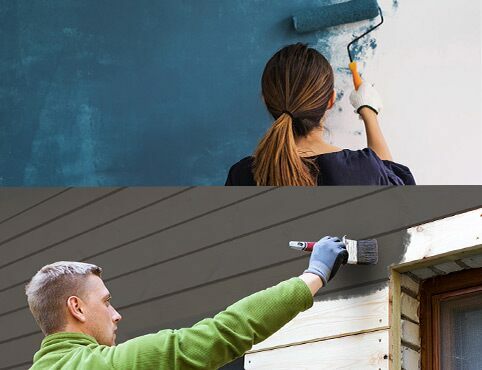 For a look with richer colour depth, glaze walls with different paint colours: a base colour, a glaze darker than your base paint colour, and a third deeper glaze colour. Studio Finishes are creative glazes that transform surfaces into works of art.